Immigration expert Brandon Miller offers a brief, country-by-country synopsis of the Central America entry requirements for tourists from the most “popular” countries. If you’re looking for a unique and adventurous traveling experience, visit Central America. Costa Rica, Honduras, El Salvador, Panama, Guatemala, Belize, and Nicaragua can all provide an unforgettable adventure for travelers and potential immigrants/expats alike. If you love history, there are tons of archeological sites to visit. You can familiarize yourself with ancient and modern Mayan culture, enjoy mesmerizing natural beauty, take adventure tours, or spend your time hanging out on tropical beaches. In Central America, there’s a little of everything and something for everyone. No matter what type of traveler you are, you will find something in Central America. But before you can enter the region, you need to know the basic entry requirements for each country. They can vary and it’s important to know what they are so you can prepare for your trip. The following Central America entry requirements are for travelers coming from the US, Canada, the EU, and the UK, although the rules may differ slightly depending which of these countries/regions you come from. If you’re a passport holder from elsewhere, check with the embassy of the country you’re visiting to check the entry requirements for your specific country. Please also note that all Central American countries want to stay yellow fever-free. This means that if you’re entering the region from from a country on the World Health Organization’s yellow fever list, you need to show proof of vaccination against the disease. Please check with the relevant embassy website for more info. To enter Belize, your passport must be valid for at least six months. Upon entry you will get up to 30 days in-country, after which you must leave and reenter, or renew at an immigration. Upon renewal you’ll get another 30 days for US$25. You can renew each month for six months at $25 a time. After six months you can renew for a further six months at $50 per month and an explanation of why you’re staying so long. Upon entry, the immigration agent might ask you for an onward ticket out and proof of funds for the duration of your stay (generally $60 per day). If you are from the countries mentioned above, you don’t a visa to enter Costa Rica, only a passport that will stay valid throughout your stay. As a tourist you can stay up to 90 days and the immigration officer will write the number of days he/she allows you over your stamp. If you plan to visit for over 90 days, you must exit the country and re-enter for another stamp of up to 90 days. You also need a ticket out of Costa Rica to enter the country. They may well not let you on the plane if you’re on a one-way ticket. To visit Honduras, your passport must be valid at least three months from your entry and you need an onward or return ticket. You can stay in Honduras for up to 90 days after which you need to leave the country and return. Or you can request a onetime visa extension of up to 30 days in any immigration office. If you leave and return, please note that Honduras is part of the CA-4 group of countries. The CA-4 group is Honduras, Guatemala, Nicaragua, and El Salvador and they permit free travel between them all. This means they spread your 90 days between these four countries. You cannot renew your tourist status in Honduras by visiting another CA-4 country. The easiest option here is to go to Belize for a few days. El Salvador is another CA-4 country, meaning that when you enter it, you’re also effectively entering Honduras, Nicaragua, and Guatemala. You get up to 90 days visa-free and the option to extend another 30 days at an immigration office if required. Your passport must be valid for at least six months and you’ll pay $10 for a tourist card upon entry. To renew your tourist visa, you must leave the CA-4 countries and then reenter. Guatemala is another CA-4 country and so the rules are about the same as Nicaragua, El Salvador, and Honduras. You need six months on your passport and you get up to 90 days in-country. You can extend your 90 days at the Immigration office in Guatemala City for another 30 days once a year. After that, you need to leave the CA-4 (Mexico or Belize are easy) and reenter for another 90 days. As a CA-4 member, entry to Nicaragua means entry to Honduras, El Salvador, and Guatemala. You’ll get up 90 days upon entry which applies to all four countries. To stay up to another 90 days you must leave and reenter. Costa Rica is the most popular place to do this as it isn’t a CA-4 member. You can also request a onetime 30-day extension at the immigration office in Managua. If you arrive by air, you need to pay a $10 entry fee and if you arrive by land, that fee is $12. Your passport needs to be valid for at least six months. Nicaragua now requests visitors who are “not tourists” (volunteer groups, etc) to pre-register their visit online before arriving. Panama allows you to enter the country for up to 180 days without a visa. After that 180 days is up, you must leave the country for at least 30 days before entering again. If you are entering Panama from Costa Rica and you are NOT a citizen or resident of Costa Rica, you need to show a ticket back to your home country. Anyone else will also need to show proof of onward travel. Immigration authorities also require you to show proof of funds of at least $500. 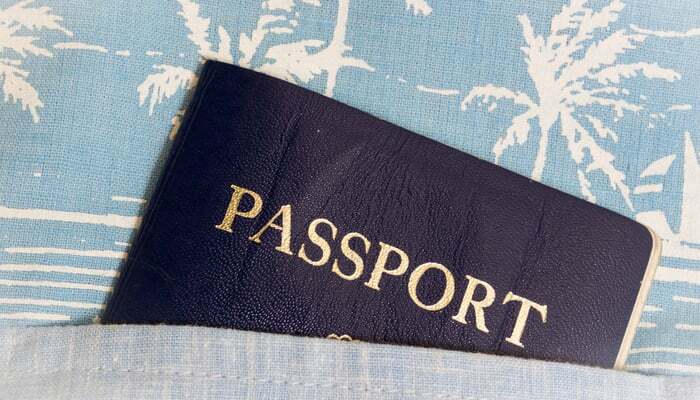 Your passport needs to be valid for at least six months and must also display several unused pages. Brandon Miller is a Canadian immigration consultant and the founder of Maple Immigration Services. He is married and lives in Toronto with his wife and two daughters.